Series R50 smart sensors measure bi-directional torque for a wide variety of applications across virtually all industries. Contain a Jacobs chuck for up to 0.5 in [12.7 mm] diameter samples, bits, or fixtures. The sensors can be used as hand held devices, or mounted to a test stand. 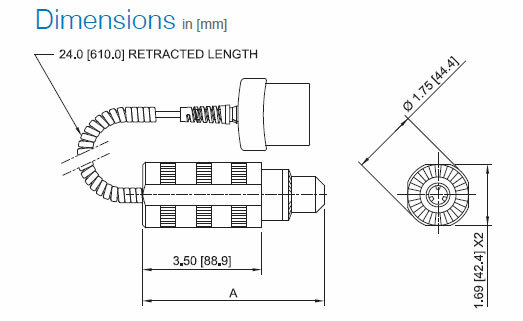 Capacities available from 10 ozFin to 100 lbFin [7 to 1150 Ncm]. Compatible with Mark-10 model 5i and 3i indicators (sold separately) through unique Plug & TestTM technology.